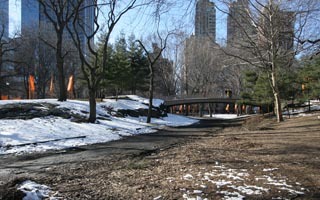 The misnamed Pine Bank Arch is more accurately a bridge, with its 80-foot span carrying pedestrians over the bridle path 11 feet below. 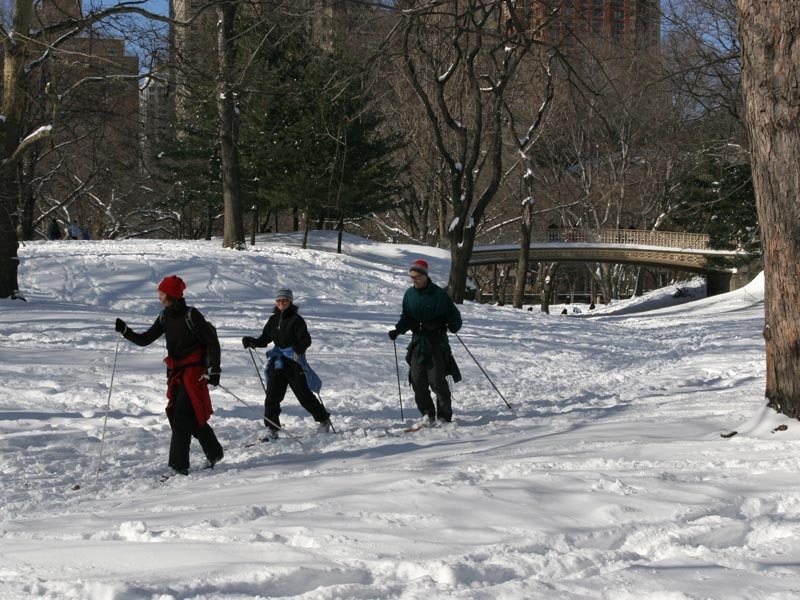 It’s one of five of the original seven cast-iron bridges remaining in Central Park. 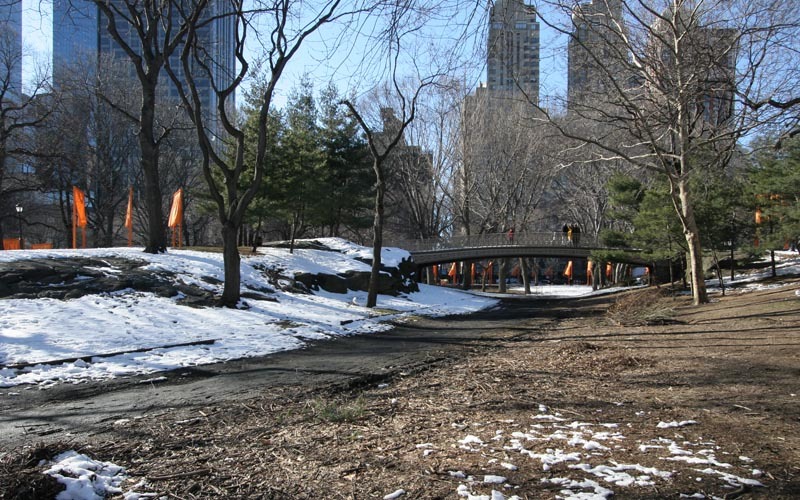 Pine Bank Arch and Christo’ Gates in Central Park. 5 March 2005. 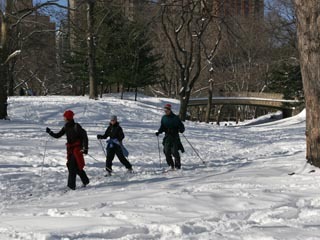 Pine Bank Arch and cross-country skiing in Central Park. 23 January 2005.